Arthur Pita’s Björk Ballet celebrates the theatricality of Björk and her music, setting songs spanning her discography, from 1993’s Debut to Utopia from 2017. Pita’s choreography for twenty-two total dancers mixes kicks, lunges, and squats with classically inspired technique, and features a number of striking dances, including an octet set to Björk’s shimmering, bell-like “Frosti,” which Pita thinks should “look like a ballerina music box on acid.” Marco Morante’s costuming includes metallic, fringed body suits with geometric piping, and Pita himself created additional visual décor, including eruptions of tinsel meant to resemble tall grasses and a “mirrored” floor. 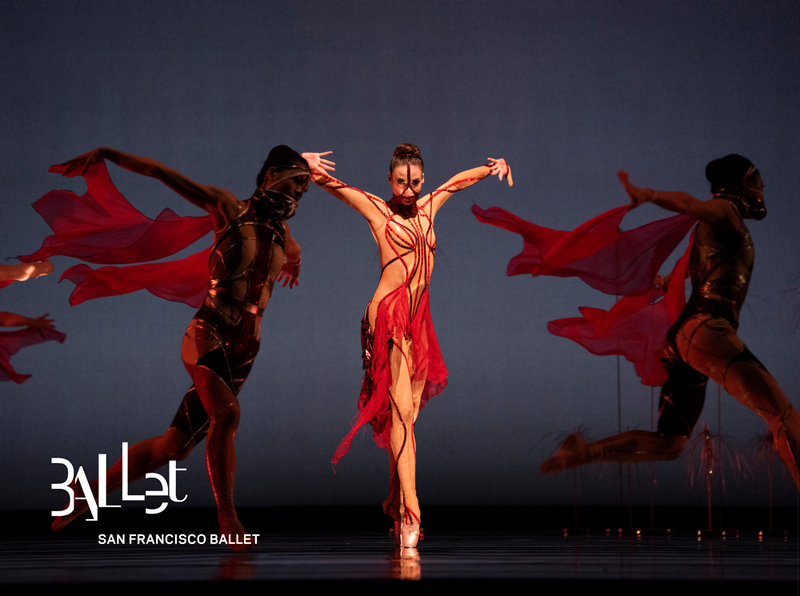 Called a “cacophony of glamour, craziness and fairytale” by The Guardian, Björk Ballet is a sensational experience for dancers and audiences alike.